Pure elegance. 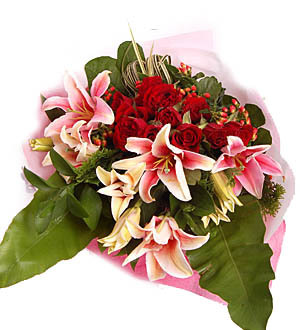 Fusion of 5 Lilies and passion 12 red Roses to tug at her heartstring. Shades and tones of color of flowers may varies depending on batches. Accessories used and aesthetic may differ for outstation and last minute orders.